The shocking album recorded and executive produced in seven days is here. Don Demenace took it upon himself to attempt this feat as inspired by Tupac's "The Don Killuminati: The 7 Day Theory". This makes it a busy 2017 for the Baltimore MC, as he released "Don The Menace" in February and a collaborative album with Canadian MC, Crackerjack entitled "Silent Invasion" in April. 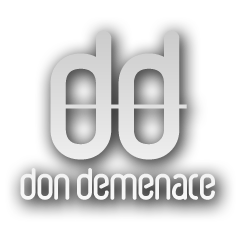 Get your ears bumping to this latest collection of trap, horrorcore, boom-bap and more by this versatile rapper: Don Demenace.